Egypt faces significant and long-term socio-economic problems. The country struggles with persistent unemployment, limited opportunities and poor living conditions which has led to public discontent. These pressures were a major factor leading to civil unrest and the January revolution in 2011. Since then, there have been ongoing issues of security, limited economic growth, and the persistence of high unemployment, especially for young people. Many have lost their jobs and do not have the skills to find work elsewhere, leaving them and their families unable to manage. Due to the high unemployment rate young graduates struggle to find employment and instead choose to learn trade skills to find opportunities to make an income. To combat this problem, in 2015 International Needs Egypt teamed up with an Egyptian businessman and set up a vocational training centre in Cairo. The vocational training centre now provides affordable training in a variety of industries and many graduates from its programmes have gone on to set up their own successful small businesses. The centre welcomes students to study subjects such as English, IT, hairdressing and beauty and machinery repair. A class receiving certificates on completion of a IT course. Since opening in 2015, the centre has continued to be successful, helping many men and women from different backgrounds and faiths. Many of the attendees have previously been long term unemployed. Many are highly educated and some even have degrees, but they lack skills that can earn them an income in the current economic climate. Vocational training continues to be very popular for these reasons. The reach of the centre also continues to increase, in 2017 one of the popular hairdressing courses had attracted the attention of women not just within the Cairo area, but also from all over Egypt; one woman had travelled 800km to attend the course! A class of 17 women completing a Hairdressing course. One woman traveled over 800km to attend! 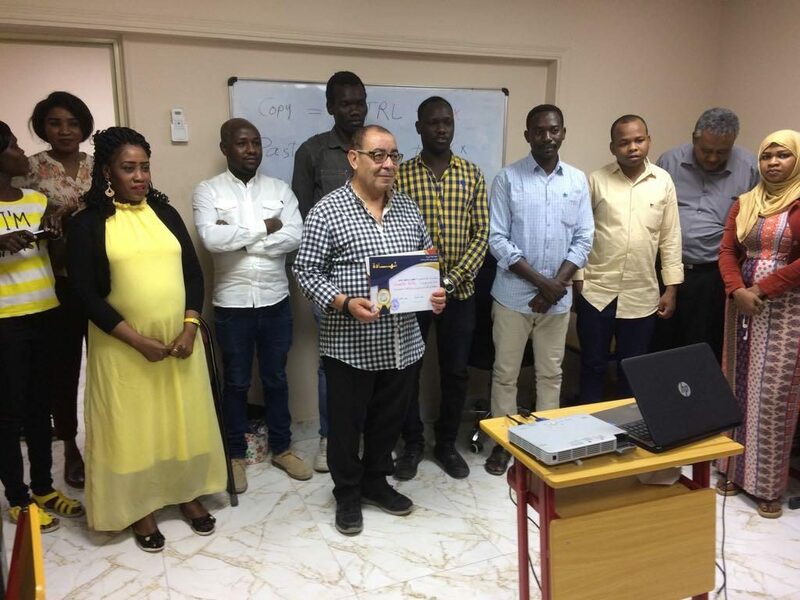 On the completion of their course, students are given a starter kit which includes resources that allow them to set up their own business in their chosen field. The centre aims to equip students with knowledge and skills that will enable them to tackle their problems within the current economic situation in Egypt. Youth unemployment is at an all time high with almost 45% of young people aged between 15 and 24 not in work. Tourism has always been a great contributor to the economy of Egypt employing 1/10 people. However this has declined to an all time low after the continued threat of terrorism and the political instability of the so called “Arab Spring”.